Head to Amazon to get $5 off your $20 order of Print Books with the coupon code GIFTBOOK17 at checkout. 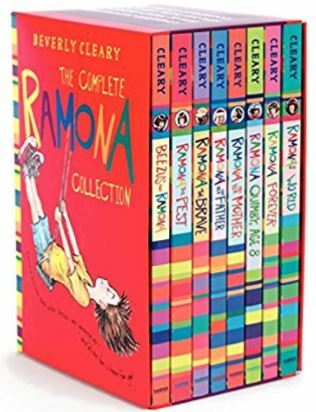 With the coupon code you can get The Complete Ramona Collection for just $24.05 (Retail $44.99)! Kids everywhere feel connected to Ramona’s unique way of looking at the world as she tries to adjust to new teachers, feels jealous about Susan’s curls, and is secretly pleased by Yard Ape’s teasing. The scrapes she gets herself into—like wearing pajamas to school or accidentally making egg yolk shampoo—are funny and heartwarming, and sometimes embarrassing. No matter what—Ramona’s lively, curious spirit shines through.